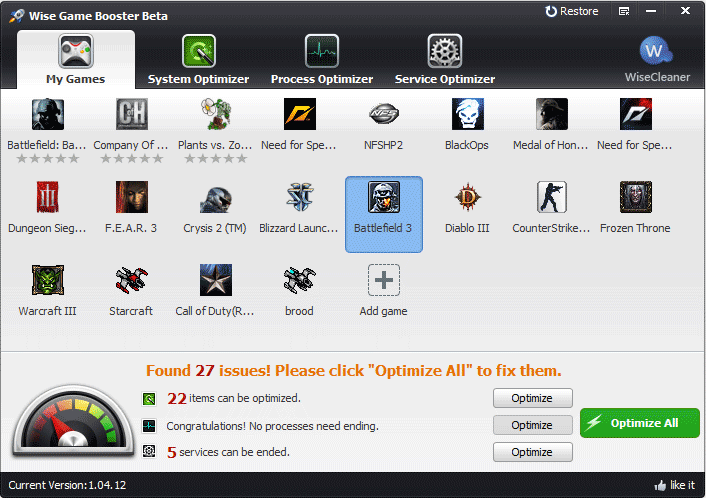 Wise Game Booster is a free game speedup tool. 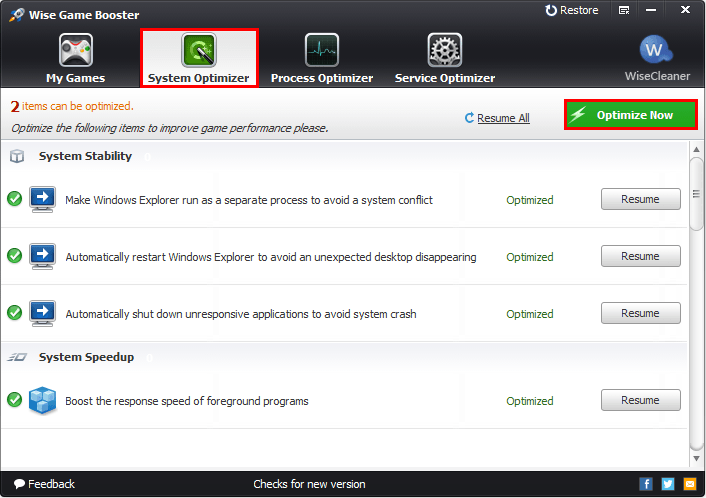 Users can use it to boost up games by improving PC performance. Step 1: After launching Wise Game Booster, it will search your local games firstly. And you can also add your favorite games into it by clicking “Add game”, and then your games will be listed on the main interface. 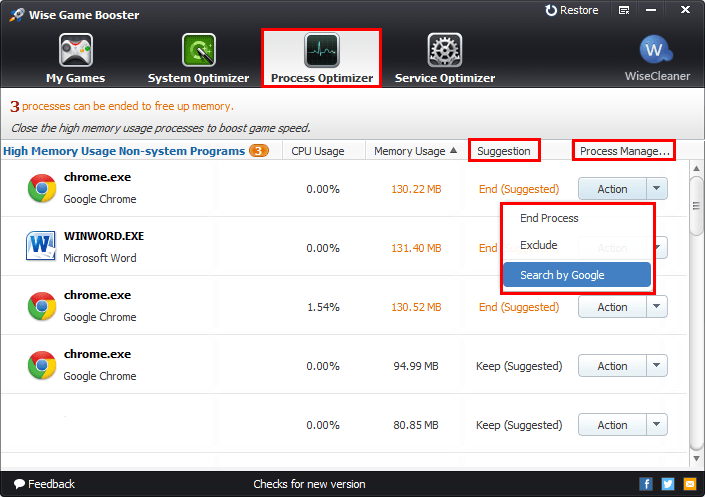 Step 3: Wise Game Booster can detect high memory usage processes and suggest you end or keep them. 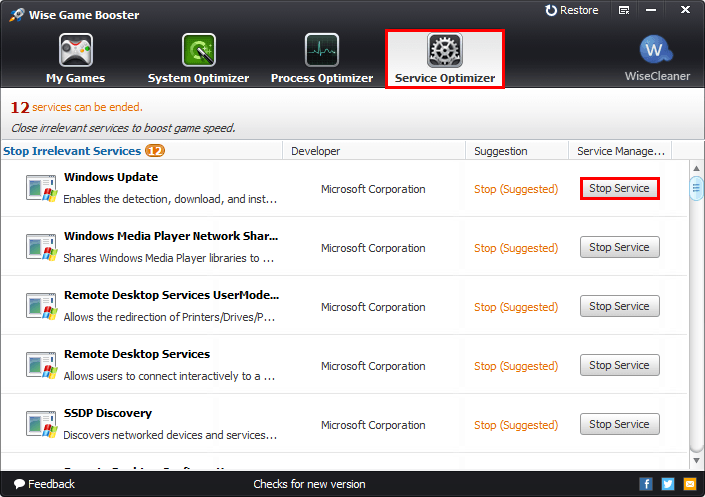 Step 4: Wise Game Booster can detect services which slow your PC and then remind you to stop or keep them. The program cannot find my games, how do I add them?